This just in. With almost every detail about the iPhone 6 launch confirmed, there are yet more leaks to follow about Apple’s flagship device. We’ve been hearing more and more rumors and reports about the mobile wallet platform and NFC for the iPhone 6. These are said to be ‘hallmark’ features of the smartphone. The timing might be just right for such a move as well, with the vast troves of data already with Apple due to iTunes. Well, the french site nowhereelse.fr has just posted pictures of what appear to be the processor destined for the iPhone 6. There has been relative silence in the Apple rumor mill about the A8 so far. The only things that we expect based on a single report is that the SoC for the iPhone 6 will be able to hit frequencies of up to 2 GHz. 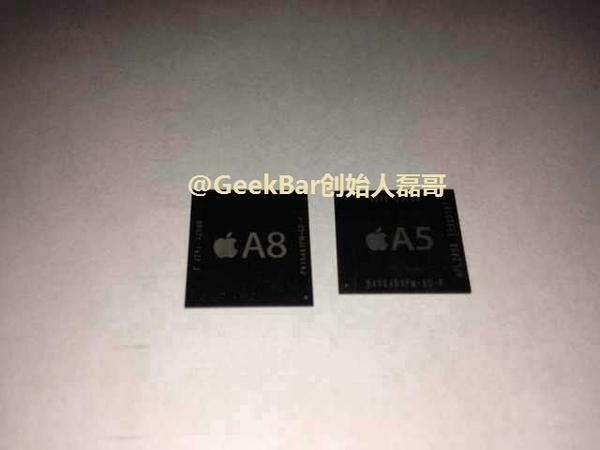 The picture, courtesy of GeekBar’s Weibo, shows an alleged A8 chip placed alongside the much older A5 SoC. The size differences is clearly evident between the two. Apart from this, given the limited nature of the photo, not much can be gathered from it. The A8 is going to power a much more process requiring device than the iPhone 5S. This is due to several features such as an increased screen size, new haptic feedback, mobile payment platform and others. So that’s it folks. Take a look at the A8 in it’s full glory and wait for the 9th. 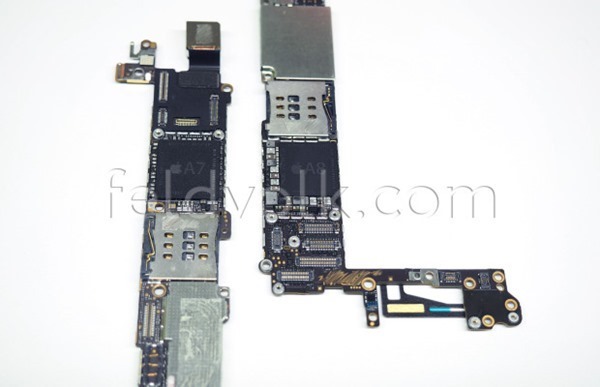 Update:With the pictures of the A8, we now get to see the SoC on an alleged logic board of the iPhone 6. Courtesy once again of Field & Volk. 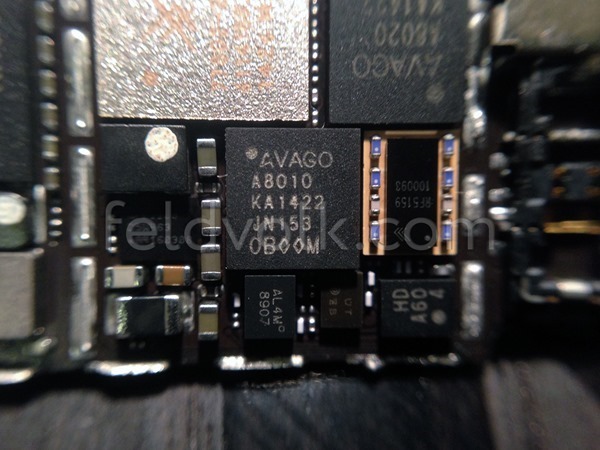 In addition, the pictures also seem to confirm the presence of NFC on the iPhone 6. 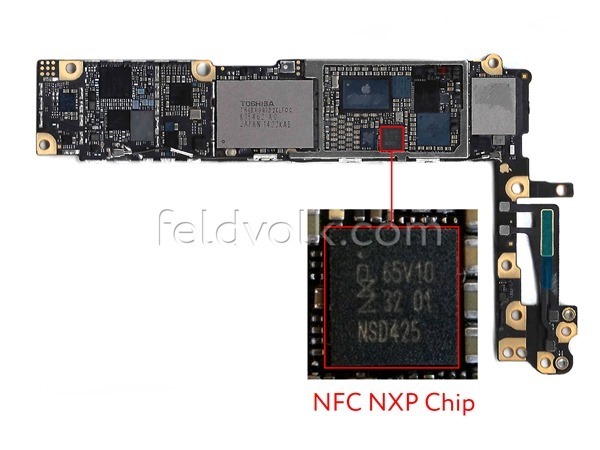 The NFC chip present on the iPhone 6 will be NXP’s ‘NSD425’.